Mark Johnson and Whitney Burditt, the Founders of Playing for Change, were presented with the 2009 Human Security Award on October 22, 2009. Featuring a keynote address by Mark Johnson and Whitney Kroenke Burditt, founders of Playing for Change and recipients of the 2009 Human Security Award. Mark Johnson and Whitney Burditt, the Founders of Playing for Change, received the 2009 Human Security Award on October 22, 2009 for their efforts to create a multimedia movement to inspire, connect, and bring peace to the world through music. 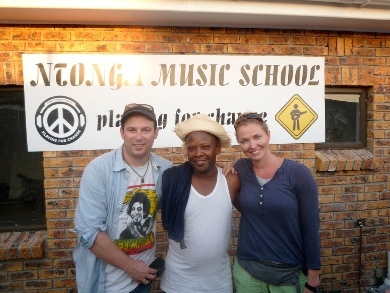 In addition to their inspiring music and films, the Playing for Change movement is building music schools across the globe to foster music, education and collaboration. 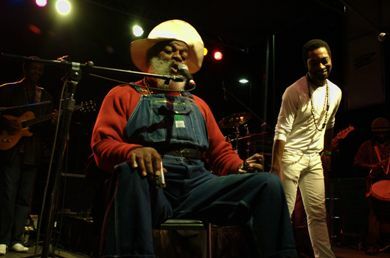 Playing for Change has been featured on PBS, CBS, The Tonight Show, ABC World News, NPR, Larry King Live and the Playing for Change band launched their first world tour in the Fall of 2009. Photo courtesy of Playing for Change. Michelle Rochwarger, Strategic Resources Alliance, Inc.